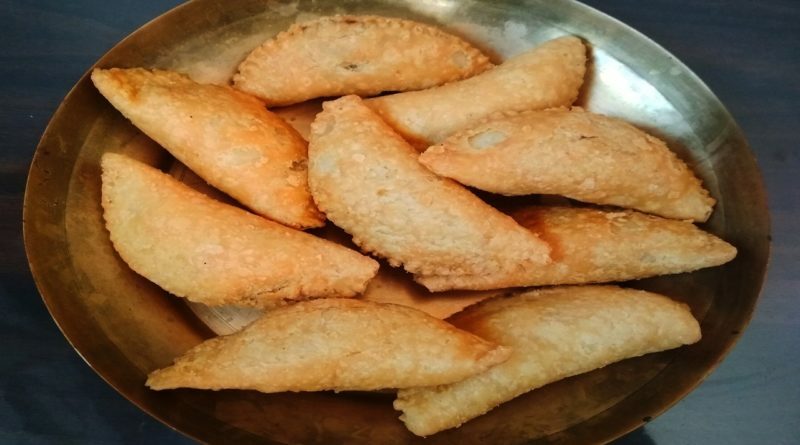 Coconut Gujiya Recipe enjoy home made easy to prepare gujiya recipe using coconut. Khoya (mawa) – one cup. Cashew nuts – 7/8 chopped. 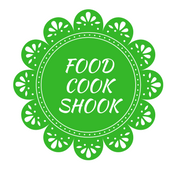 Coconut grated fresh -1 tbsp. Cardamom seeds powder – 1/4 tsp. sugar – 1/4 cup (grind into a powder). Take a mixing bowl and mix all purpose flour and salt. Slowly drizzle ghee or water and prepare a soft dough. Start with heating mawa on medium heat. keep stirring after 2/3 minutes its start melting. once melt and start looking little brown one by one add all dry fruits. properly mix chopped almonds, chopped cashew, raisins, chironji , Cardamom seeds powder, grated coconut, and powder sugar. After the resting of dough for 15 minutes take the dough and divide into 10/15 equal rolled small ball. roll small balls into 4-inch small diameter circle. next, put this small chapati on a gujiya maker, put a tbsp of stuffing in the center. apply little water around the edges, fold it into a half circle. seal the edges by pressing it. prepare all the gujiya and keep it aside for drying out. Next, heat oil or ghee on medium heat for frying. Once it’s done add few gujiya at a time. remove it and keep in a paper towel. Wait till its get cool completely before serving. Coconut Gujiya Recipe is ready to serve.